The Centre for the Study of the United States (CSUS) offers a vibrant, interdisciplinary, undergraduate program in American Studies. Dedicated exclusively to American politics, culture, and society, the Centre hosts Canada’s largest concentration of U.S.-focused scholars. As a result, American Studies students have access to an extensive range of courses, in both the humanities and the social sciences, including core American Studies classes, as well as, a wide range of American themed classes in affiliated departments. With all of the benefits of a boutique program at a world class university, the American Studies program features outstanding faculty, small classes, topical courses, as well as an annual undergraduate journal. In addition to the major program in American Studies, a minor option is also available. As a double major or minor, the American Studies Program is a particularly stimulating match with other disciplines, including International Relations, English, Political Science, Geography, and History. For additional information on the American Studies courses, please contact our Program Coordinator at: csus@utoronto.ca. For last year’s (2018/19) course offerings click here. This course examines the ways in which social inequality begets educational inequality, and how educational inequality reproduces social inequality in broader society. Drawing primarily from sociological scholarship, the course will review some of main academic debates on the nature of links between social and educational inequality in the United States and in some cases, for comparative purposes, Canada and the Caribbean region. Students will engage these debates by studying classic and contemporary theories and case-study research in these areas. Students will come to recognize the structural forces of inequality in neighborhoods and schools, and how those forces contribute to unequal opportunities, experiences, and achievement outcomes for students along lines of race/ethnicity, class, gender, and citizenship status. Specific topics to be covered include neighborhood and school segregation, culture, networks, stereotypes, and immigrant assimilation patterns. Graded course requirements include participation in small group discussions, autobiographical reflection, quantitative reasoning assignment and critical film review. Prerequisite: At least two courses (2.0 FCEs) from the American Studies list of eligible courses, or by special permission of instructor. NOTE: The list below is not exhaustive. In general, courses with 50% or more American content may be allowed. Students need to seek early approval of program credit for such courses from the CSUS Director. 1) 1.0 FCE from the 200-level gateway courses in English (ENG250Y1), History (HIS271Y1), Geography (GGR240H1 and GGR254H1), or Political Science (POL203Y1). 2) USA200H1 and USA300H1 (total of 1.0 FCE). 4) 0.5 FCE in Breadth Requirement Category 5: The Physical or Mathematical Universe, or another half course (0.5 FCE) approved by the CSUS Program Director, to fulfill the Quantitative Reasoning competency requirement of the program. 5) Additional eligible courses from the ‘Eligible Courses’ listed in the ‘Courses’ tab, to a total of 7.0 FCEs, including requirement #4 above. 6) At least 2.0 FCEs of the student’s 7.0 FCEs must be at the 300-level or above. 7) At least 1.5 FCEs of the student’s 7.0 FCEs must be in American Studies (USA prefix courses), at the 300- or 400-level. Students are encouraged to take any prerequisites for the 200-level gateway course required, and/or enroll directly in USA200H1 as a first year student. Of the required second-year disciplinary survey courses, only POL203Y1 has a prerequisite; students interested in politics, therefore, should take one full POL course, a prerequisite for POL203Y1. Other recommended courses at the first year level include: HIS106Y1 Natives, Settlers, and Slaves: Colonizing the Americas, 1492-1804. USA300H1, plus other eligible courses, to a total of 7.0 FCEs. At least 2.0 FCEs of these courses must be at the 300-level or above. At least 1.5 FCEs of these courses must be American Studies USA prefix courses at the 300 or 400-level. Courses must be chosen in a way that satisfies the disciplinary/thematic variety described above, plus 0.5 FCE in Breadth Requirement Category 5, or another half course (0.5 FCE) approved by the CSUS Program Director, to fulfill the Quantitative Reasoning competency requirement of the program. 1) 1.0 FCE of the following 200-level gateway survey courses in English (ENG250Y1), History (HIS271Y1), Geography (GGR240H1 and GGR254H1), or Political Science (POL203Y1). 2) Students must take USA300H1 (0.5 FCE). 3) 2.5 FCEs from the ‘Eligible Courses’ listed in the ‘Courses’ tab above to total 4.0 FCEs. NOTE: Other 300+ series courses with American content may be allowed; students should seek early approval of program credit for such courses from the CSUS Director. For a detailed list of courses please consult the links above. How do I declare my major in American Studies? Enrolment is done through ROSI. You must have successfully completed four full-course equivalents but need no minimum GPA. Instructions are given in the Registration Handbook and Timetable. May the courses I have taken for a major in another program count toward my major in American Studies? The rule is that students doing two majors must have 12 separate courses to qualify for both majors, meaning that some double counting is possible, but usually amounting to only one or two courses. See the Faculty of Arts and Science Calendar for details. Is it possible to double count American Studies Credits with other Majors/Minors? The policy of the Faculty of Arts and Science is as follows: “Two major programs, which must include 12 different courses OR One major and two minor programs, which must include 12 different courses” A limited amount of double counting is sometimes allowed. CSUS only has jurisdiction over the USA courses, students must check with the department responsible for the course for permission to double count. Do I need to meet all the prerequisites? Students are required to have completed HIS271 or POL203 or ENG250 or GGR240H1/GGR254H1 before enrolling in USA300. However, on a case by case basis, students have been allowed to take the prerequisite concurrently with USA300 or to substitute other courses with similar content to the prerequisites. The decision is made by the Director of CSUS. If a student has taken more than one of the pre-requisites, all can be counted towards the degree. Do I need to meet the breadth requirement? Students are required to meet a breadth requirement for a major/minor in American Studies of at least 3 disciplines, meaning course work in history, political science, english, for example. While a broader course of study is preferable, USA designated courses can be counted as a separate discipline if needed to meet the requirement. Are there any approved courses not on the list? The list of approved courses in the calendar is not exhaustive. Departments offer many half courses, “Topics in...”, that can change from year to year and are therefore not included on the list. Students interested in having a course approved for American Studies credit should contact the program coordinator and/or CSUS Director. The criteria for approval is at least 50% American content. Students should submit syllabi by email to the CSUS Director at csus.director@utoronto.ca, with a cc to csus@utoronto.ca, to initiate the approval process. The CSUS Director, Prof. Nic Sammond, will be holding office hours on Wednesdays: 4:00 pm – 6:00 pm or by appointment during the Winter 2019 semester. If you would like to make an appointment with him, please email: csus.director@utoronto.ca. His office is in Room 326N North House, Munk School of Global Affairs and Public Policy, 1 Devonshire Place. The Undergraduate Society of American Studies (USAS) is the course union that represents all students in the American Studies major or minor programs, or any student enrolled in 0.5 or more USA-coded classes. Click here to go to the USAS Facebook page. 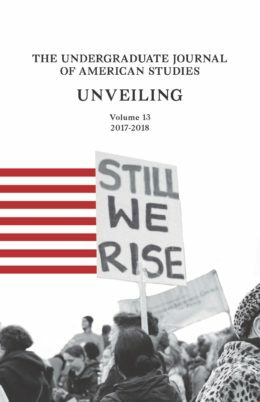 The Undergraduate Journal of American Studies, published annually, provides the opportunity for undergraduate students to present some of their high-quality independent research to a broader audience. Click here to view the 2017-18 Journal. Click here to view the 2016-17 Journal. Click here to view the 2015-16 Journal. Click here to view the 2014-15 Journal. Click here to view the 2013-14 Journal. Click here to view the 2012-13 Journal. Click here to view the 2011-12 Journal. Click here to view the 2010-11 Journal. Click here to view the 2009-10 Journal. CSUS either sponsors, or collaborates with other organizations, on several internships and awards each year. These opportunities are available to undergraduate students, graduate students, and/or faculty. The American Consulate General in Toronto, Canada offers internship positions for students who are Canadian citizens or permanent residents in Canada, in the Political/Economic and Consular Sections three times per year (during the Fall, Winter-Spring, and Summer sessions). Students chosen for the program are required to participate as an intern for at least 10 weeks on a full-time basis. The positions within this program are voluntary, without salary or benefits. The Intern Program gives students valuable work experience in a challenging foreign affairs arena. For further information, please visit their website at: http://toronto.usconsulate.gov/about-us/internship-opportunities/, or you may contact Human Resources by email at: TRTHR@state.gov, or by mail: 360 University Avenue, Toronto, Ontario M5G 1S4. The internships are run through the US Consulate; CSUS plays no role in the selection of interns. Open to: Non-U.S. Citizen Students*. Candidates must be enrolled half-time or more in a trade school, technical or vocational institute, college, university or comparable recognized educational institute in the field of International Relations, Communications, Political Science or Public Administration, as well as related disciplines. For additional details on how to apply to this internship, please see this page. The Killam Undergraduate Fellowship is a competitive award that helps support Canadian undergraduates who wish to pursue an exchange at a university in the United States for one semester or a full academic year. For more information on this fellowship, please visit the Killam Fellowships website by clicking here. If you are interested in applying to this award, please contact the Centre for International Experience at the University of Toronto. Funded by Canada and the US; deadline November 15. 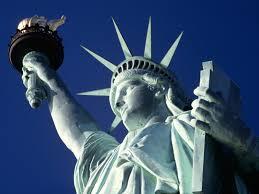 Grants of four to nine months to Canadian students who wish to study in the US. (U.S. citizens are not eligible). Please note that this award is available for all sorts of study, including both graduate work (in the humanities, social sciences, and sciences) and in the professional fields (law, medicine, business, public policy.) In addition, note that the student aspect of the Fulbright is available to advanced undergraduates seeking to enter a graduate program in the U.S., to current MA students who are applying to PhD and professional degree programs; and to current PhD students seeking a year in the US as part of their dissertation research. If you have further interest in the program, please consult the website here: http://www.fulbright.ca/programs/canadian-students.html. Also, please feel free to make an appointment with the CSUS Director to discuss the program in more detail. Administered by the Faculty of Arts and Sciences, and open to both undergraduates and graduate students. For graduate students the usual deadline is March 15th. For undergraduate students this award is made on the basis of need and merit as an in-course award. Undergrads must be enrolled in the American Studies Program and be in their 3rd or 4th year. Amount: $2000 for undergrads; $3000 for graduate students. For more information on our graduate research grants, please click here.